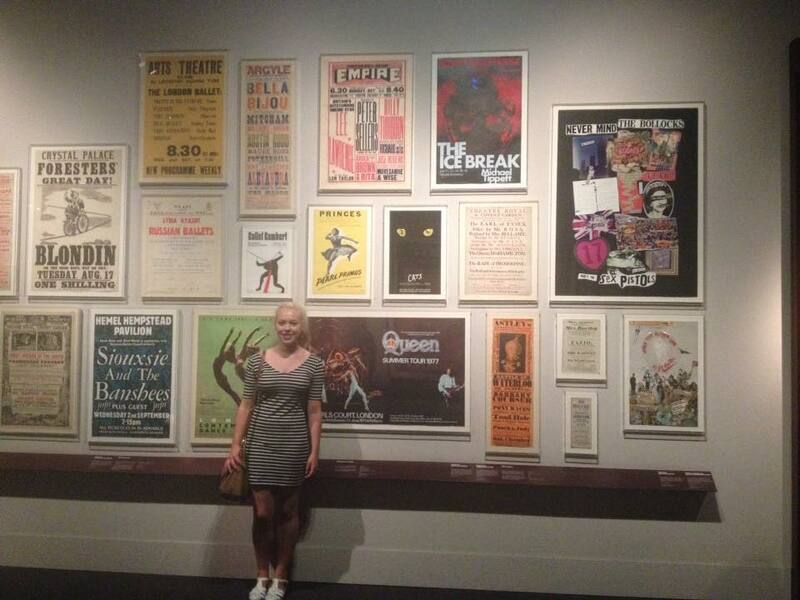 Theatre is a massive part of my life and it has been more prominent than ever during 2015. 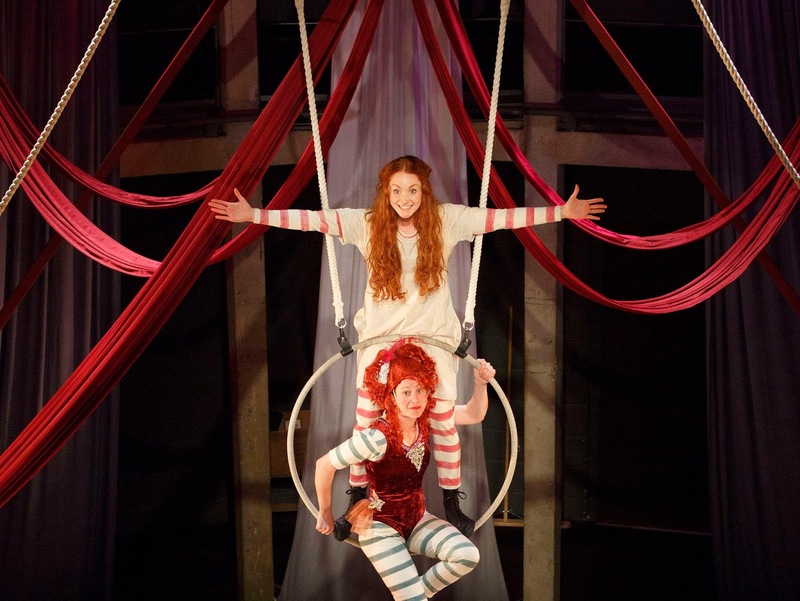 I began working with the Theatre Royal Plymouth to integrate theatre content into my blog posts, became a Young Rep at the Theatre Royal Plymouth, joined the team at dynamic arts company Effervescent and traveled around the UK as well as in Plymouth to broaden my theatrical experiences. Also, through my work and experiences with the theatre this year, I've made the most fantastic friends with similar interests as well as meeting some of my favourite stars and getting to know the amazing people behind the curtain. 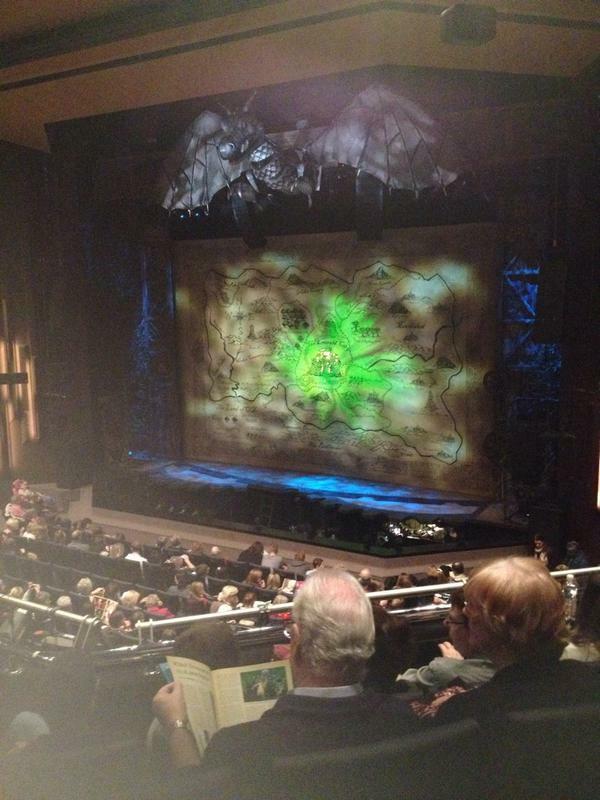 To start 2015 off, the Wicked UK tour arrived in Plymouth. I had seen the show on the West End in 2013 and absolutely fell in love with it- to this day its still one of my all time favourite shows. I am obsessed with everything from the songs, characters, costumes and set which resulted in me seeing the show three times whilst it was down in Plymouth. I would watch it every day for the rest of my life if I could- its just incredible. I am wholly a musical theatre obsessive but this year I aimed to try and watch some different genres of shows. 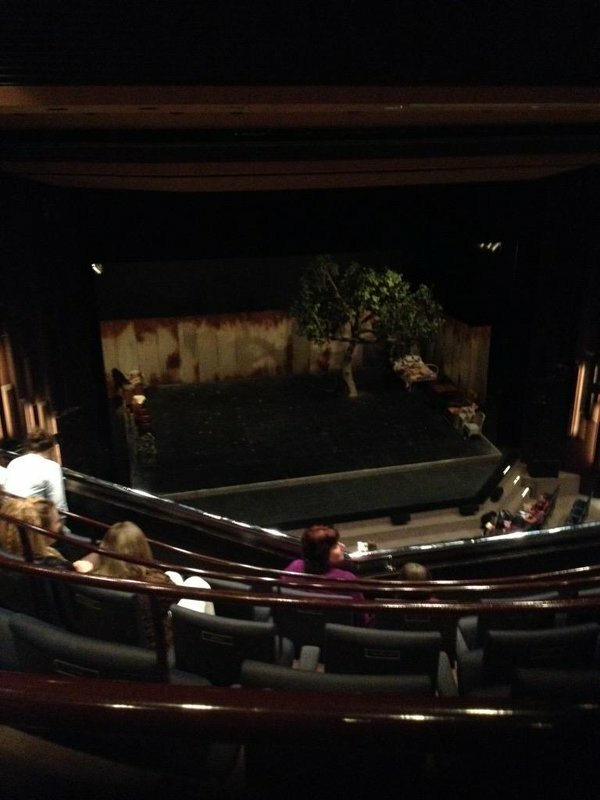 To Kill A Mockingbird by Harper Lee is my favourite book so I was really excited to watch the stage play adaptation. Although I was somewhat weary that there may be a chance of ruining my favourite book, I needn't have worried as the classic story was portrayed so well- I loved the simple yet effective set and thought that the child actors gave a particularly outstanding performance. I could talk about this show for days on end. Its undoubtedly my favourite show I've ever seen! Admittedly, it was a surprise as I had little knowledge of the show beforehand but it was everything I could ever wish for of a musical. The show that is set in the 1930s is based on the classic Fred Astaire and Ginger Rodgers film- It has the best songs ever by Irving Berlin, absolutely stunning costumes and the best tap dancing I have ever witnessed (which is difficult when comparing to my hero, Fred Astaire- but they were beyond INCREDIBLE) and great humour. Seriously, I have goosebumps just thinking about this show. I saw it three times whilst it was down in Plymouth and I'm crossing all my fingers and toes that it will either go on tour again or return to the West End in 2016. After seeing the legend Brian Conley in 'Oliver' a few years ago, I was really keen to see him again in the new production on Barnum. I didn't know much about the show before I saw it but enjoyed it thoroughly. Its definitely one of my favourites of the year. It was just a feel good show and made me want to see it again and again (which I did...). I adore the fun songs, acrobatics and dancing. 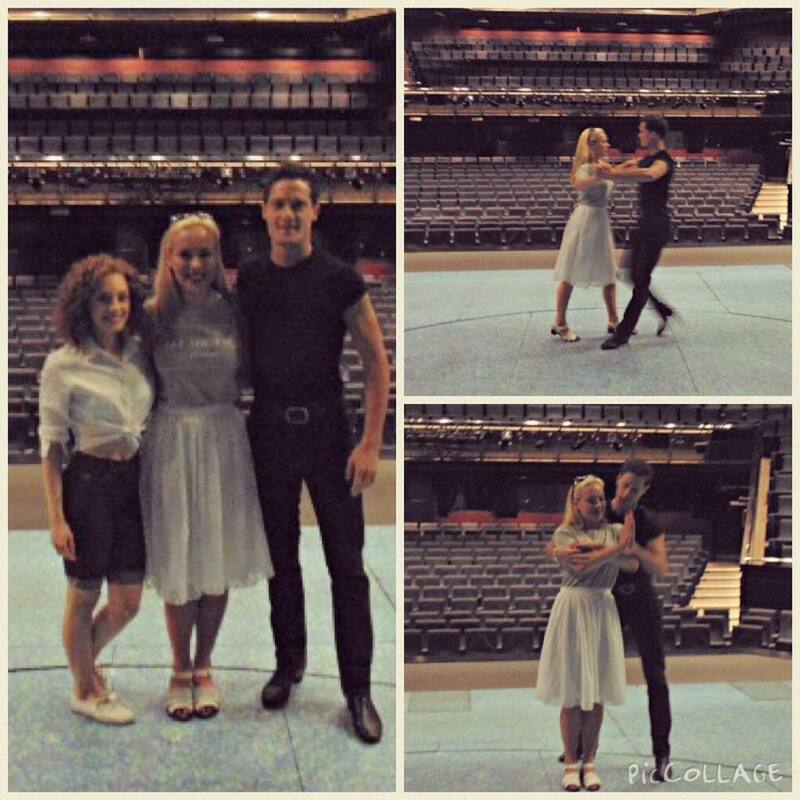 My experience of Dirty Dancing was one of the highlights of my year! 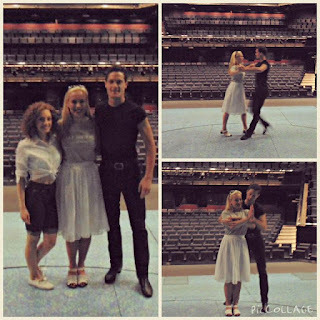 I'm such a big fan of the classic film and Johnny Castle is one of my favourite characters ever (*swoon*) so I was extremely excited to be invited by the Theatre Royal Plymouth to head backstage, meet the cast and creatives and even have a dance lesson with Lewis Kirk who played Johnny himself! I also watched the show twice whilst it was in Plymouth and I absolutely adored it- it was so fun and a total credit to my favourite movie. My trip to see The Bodyguard was totally spontaneous- we bought the tickets the same afternoon (yay for TRP Standby!) and I really enjoyed it. Showcasing the incredibly iconic Whitney Houston songs through the story of soul diva Rachel Marron and her love affair with her bodyguard. It was a beautiful story and the songs fit in perfectly. 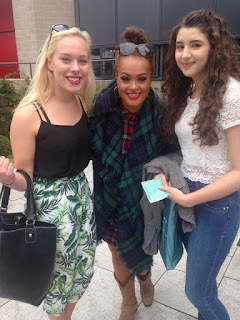 We even met Zoe Birkett who plays alternative Rachel Marron in the show who was utterly amazing. I thought I was going to miss out on this show, which I have desperately wanted to see after hearing the amazing Brian D'arcy James and Sutton Foster in the Broadway version, due to my summer trip to America but thankfully I caught it on the closing night- I managed to stay awake even with the worst jet-lag ever! 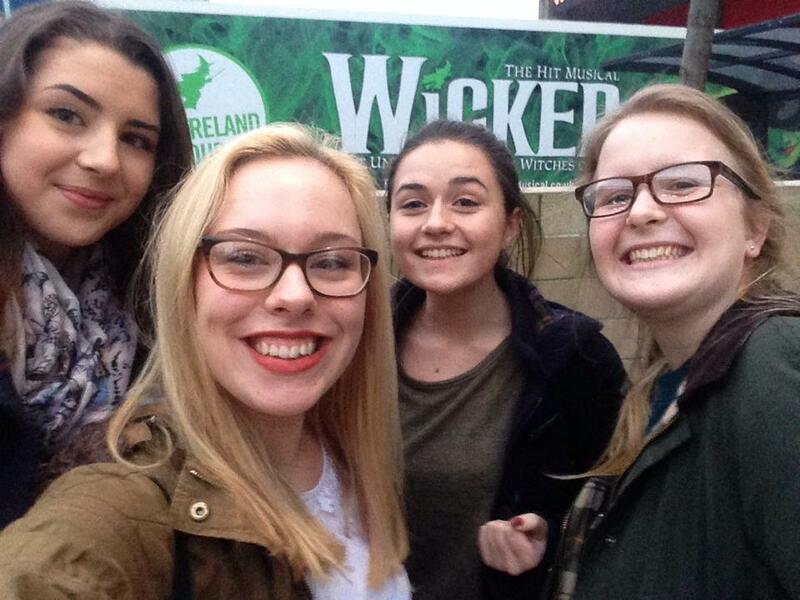 It was the funniest show I've seen- so so much fun- the songs and dance routines were really great. I'd go to see it again in a heartbeat! Jersey Boys is another absolute favourite of mine. I adore Frankie Valli and the Four Seasons- their songs are truly works of art and they were performed perfectly in the show. I'm not sure what else I can say about this iconic show but that everything was done to perfection and left me on such a high. I saw the show twice during its week here in Plymouth and I'd definitely love to see it again soon! 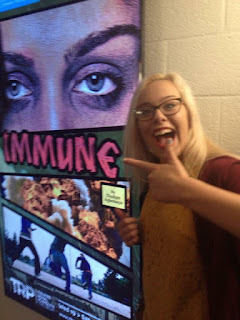 Immune is only the second show I've ever seen in The Drum theatre (the smaller theatre space at Theatre Royal Plymouth) but I loved the intimate atmosphere and will definitely aim to see more shows in that venue now. Immune was a show put on by the Theatre Royal's Young Company about an apocalypse striking a school, in which some of my friends starred in. If I'm honest, I wasn't sure to expect but both my sister and I really enjoyed it! It was totally professional (I forgot that I was watching my friends- the talent was so great!) and the story was really interesting. It really made me laugh and I loved the technology side of the show. It was so well put together and has definitely converted me to a Drum theatre go-er! Annie is such a classic musical and one I grew up watching all the time! 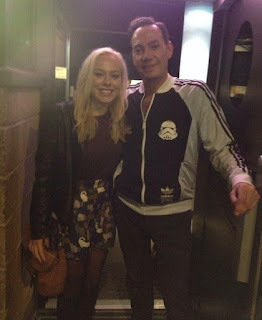 As a massive Strictly Come Dancing fan, I had to witness Craig Revel Horwood in drag as the legendary Miss Hannigan (and I even managed to meet him too!). The show was great, I enjoyed it thoroughly- all the classic songs and scenes definitely did my childhood film justice. 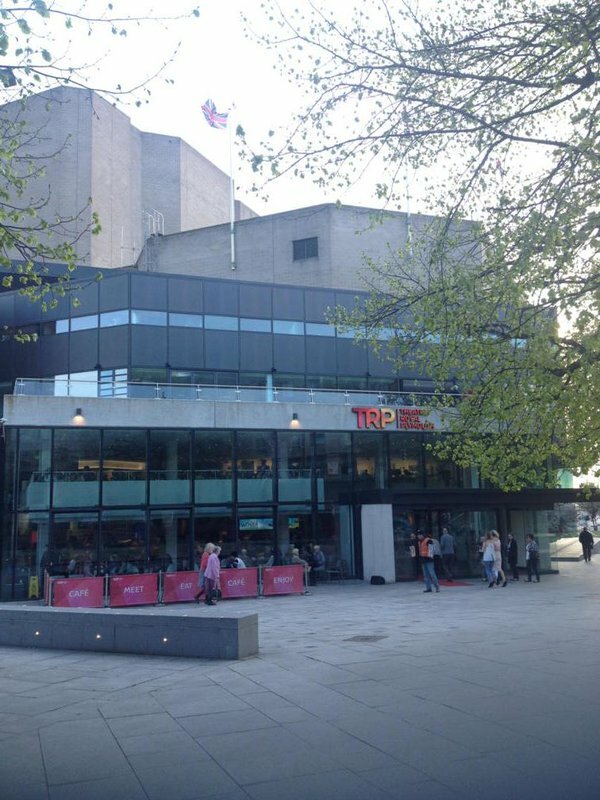 This year I was selected to be a part of the Theatre Royal Plymouth's 'Young Reps' programme, where a group of young people meet regularly to work to improve different parts of the theatre aimed at young people. I absolutely love being a part of this group- I've met some of the best people and we have so much fun behind the scenes at the theatre, its so exciting to see things happen! 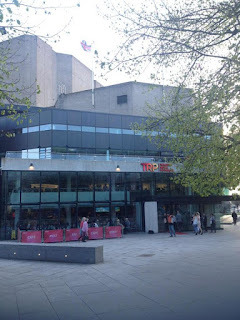 After our first meeting of the year we went to see The Whipping Man, a Theatre Royal Plymouth production, set in the aftermath of the American Civil War at The Drum theatre. It was a really gripping performance and something totally different to what I usually watch- I loved it. I don't think I've stopped talking about this show since I saw it in October. I went to see it on my 18th birthday and was even surprised by my Mum and Becca from the theatre as I went backstage to meet Michael Ball. 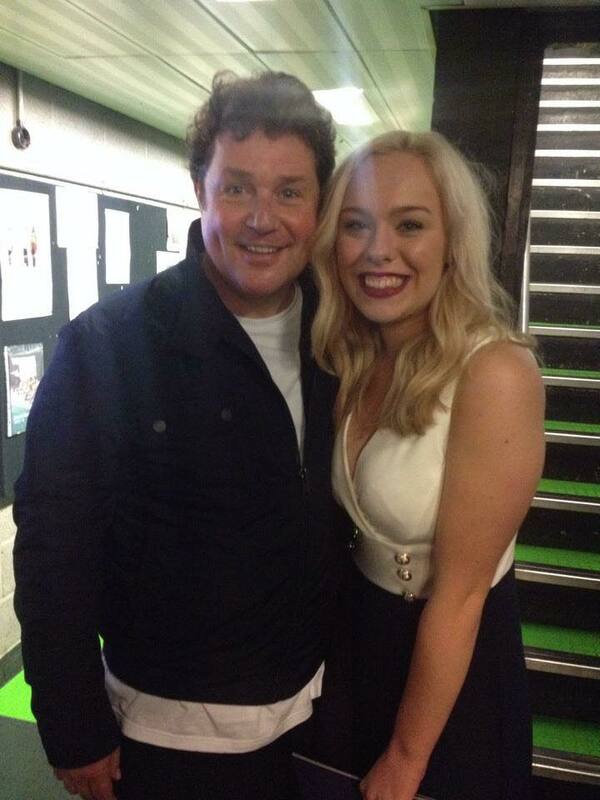 This meant sooo much to me as Michael Ball is one of my favourite performers ever and he's played so many of my favourite iconic roles throughout his outstanding career. He was the loveliest guy ever and I am super grateful to have met him on my birthday. The show was absolutely phenomenal. 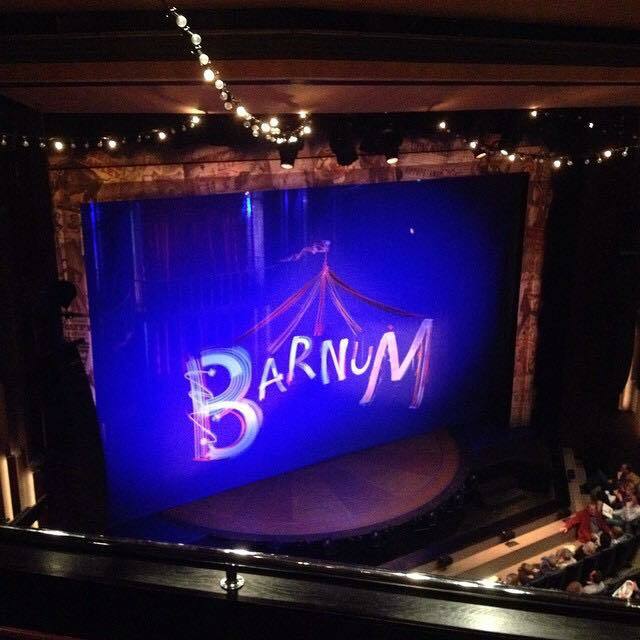 The songs and music, dance routines, costumes, set- just amazing. I wish I could see this show over and over again- hopefully it will reopen in the future as its an incredible piece of art. I've always wanted to see a Matthew Bourne show- a mixture of ballet, contemporary and theatrical dance to a gothic romance take on the classic fairy tale Sleeping Beauty. It was such a beautiful production- some of the most stunning costumes and set I've ever seen and the dancing was spell-binding. I'd love to see more of his shows in the future. This show was so much fun! 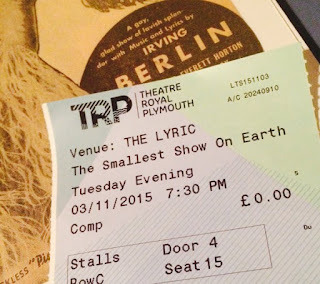 It showcased some of the best Irving Berlin songs along with a great humored story and some fantastic dance numbers. It really was such an uplifting show- it was a shame that the theatre auditorium was so quiet when I went to see it on opening night as it deserved a great audience. 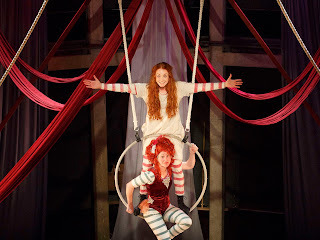 Hetty Feather was so great for all the family- very funny and cleverly done, with music, jokes and acrobats! Any Jacqueline Wilson fan would love this show! I went on an amazing school trip to London this year and we had the chance to watch a show on the West End. 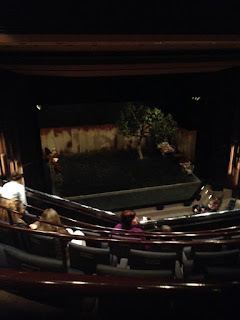 We went to see War Horse at the New London Theatre- I never managed to see War Horse when it was on tour in Plymouth a few years ago so I was super excited to see it on the West End. To cut it short, it was just phenomenal. The puppetry was out of this world and I loved the characters in the show. It was an emotional one- I cried A LOT- but loved every minute of it. It's so sad to see it leave the West End now, but I hope I can see it again some day. 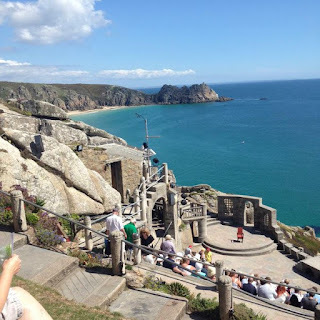 Over the summer my family and I aimed to explore Cornwall a bit more- The Minnack Theatre is an open-air theatre, constructed above a gully with a rocky granite outcrop jutting into the sea, located at Porthcurno, Penzance. Its one of the prettiest places I've ever seen, look at that sea backdrop to the theatre! 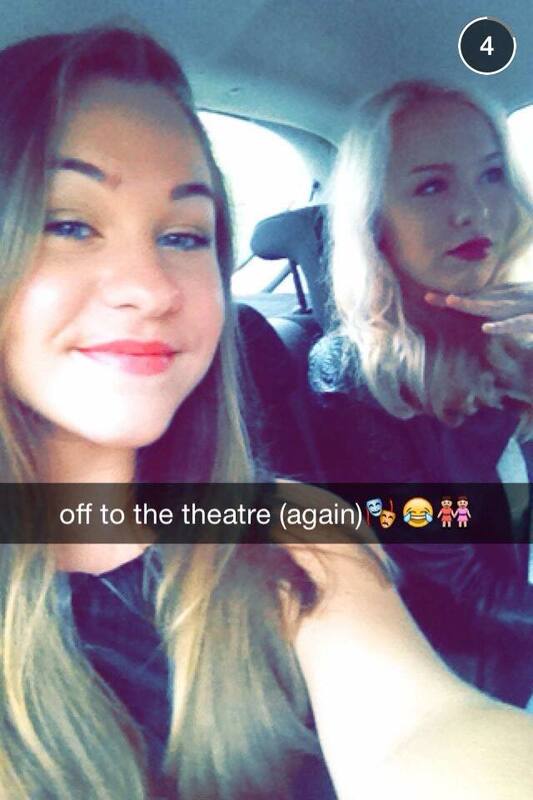 We watched a performance of King Lear which wasn't really our kind of thing, but I loved the experience all the same. I'd love to see other productions there! This year I joined the fantastic team at Effervescent who have created the most amazing Christmas grotto at Radiant gallery. It has been one of the highlights of my Christmas this year! 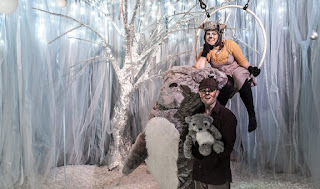 Radiant Grotto is full of sparkling lights, an enchanting forest of trees, frightfully charming deer, Fluffy the Snow Creature, her baby snow creature and lots and lots of snow!! 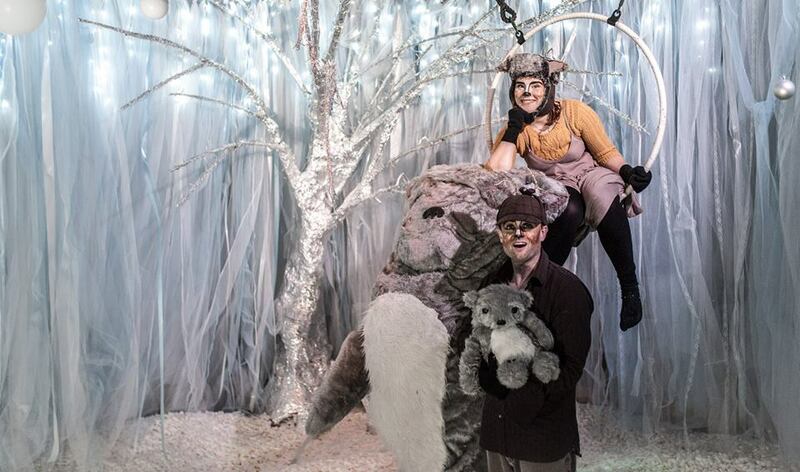 #RadiantGrotto is a beautifully fun theatrical experience, showcasing the real joy of Christmas. I've loved seeing this creation come to life over the past few months and the grotto is truly magical. I went to see Plymouth Performing Arts Academy's end of term show in which lots of my friends took part! They performed an array of songs from musicals- all of them were so professional and their voices were amazing! 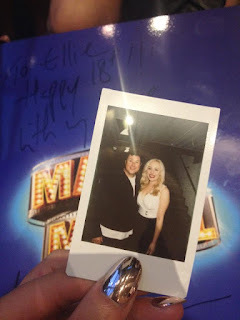 I particularly loved the Les Mis and Phantom Of The Opera performances as they had special guest, Jeremy Secomb who currently plays Javert in Les Mis on West End, join them. 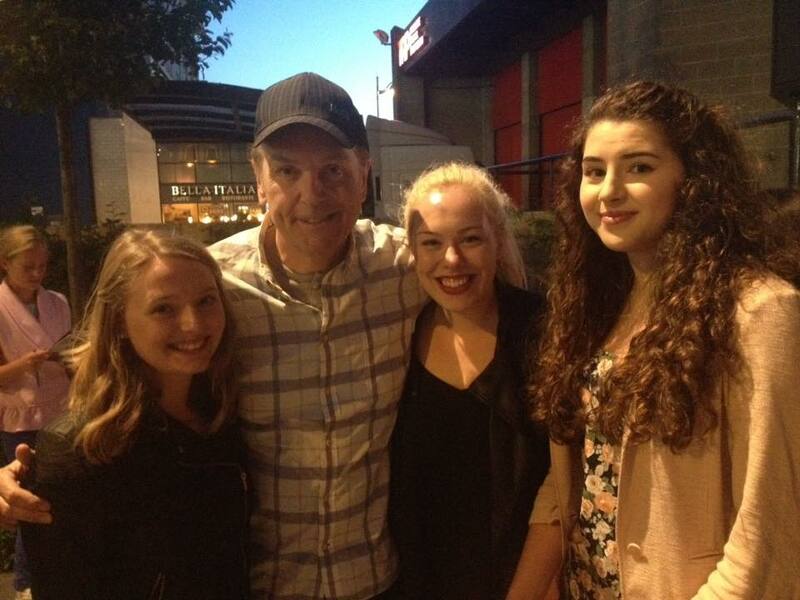 Jeremy was absolutely mesmerising and gave an incredible performance alongside the pupils of PPAA. A huge congratulations to all who took part! So that's pretty much my year in theatre summed up! I've had the best year ever and theatre has obviously played a huge part in that. I can't wait to experience even more in 2016 and finally pursue my dream career in this industry as I head off to Uni! Disclaimer: I have worked with the Theatre Royal Plymouth, Effervescent/ Radiant Gallery this year but all views and opinions are my own. D.I.Y.- Bodycon Skirt from Long Sleeve T-shirt!